Say Cheese! | Food It Yourself! 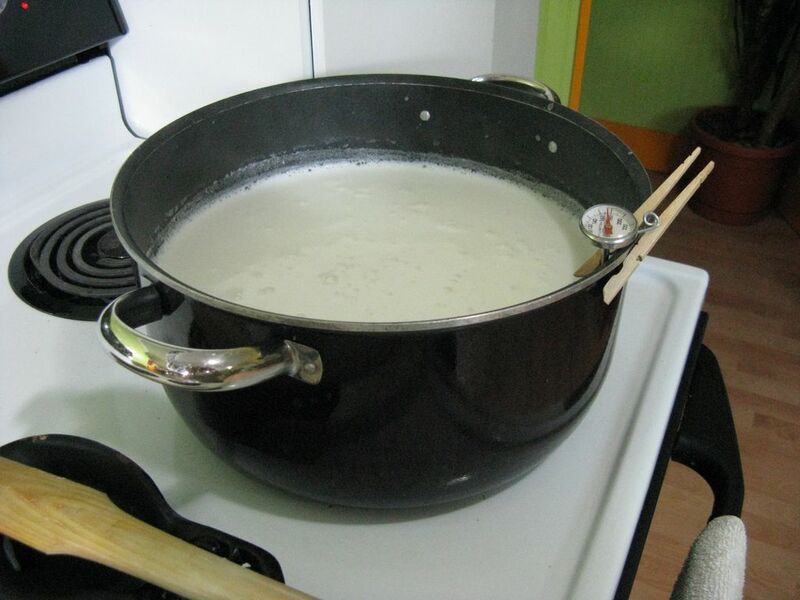 I am proud to announce that this week I checked the first item off the stock pot list and made cheese. What’s even better is I didn’t have to buy fancy cheese cultures or rennet, just lovely lemons. 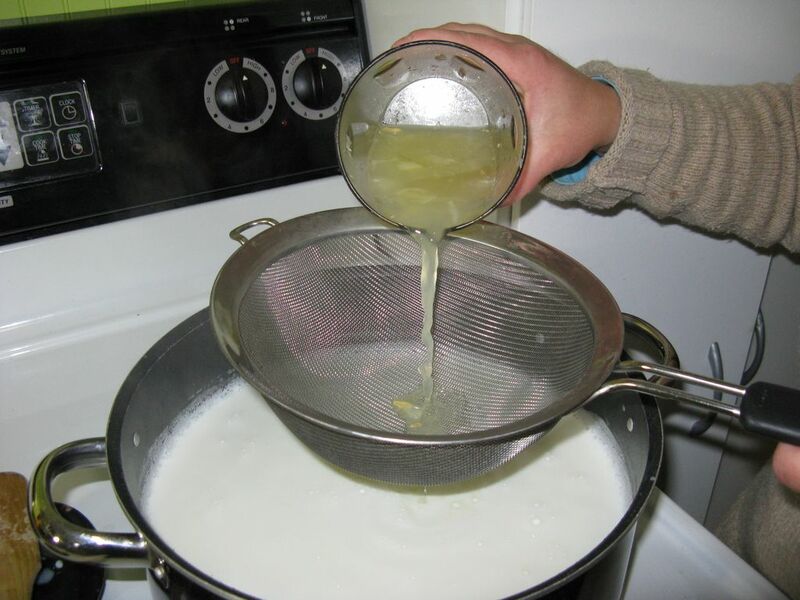 Here is a link to the basic lemon cheese recipe that I used, but there are plenty of similar recipes on this world-wide internet. 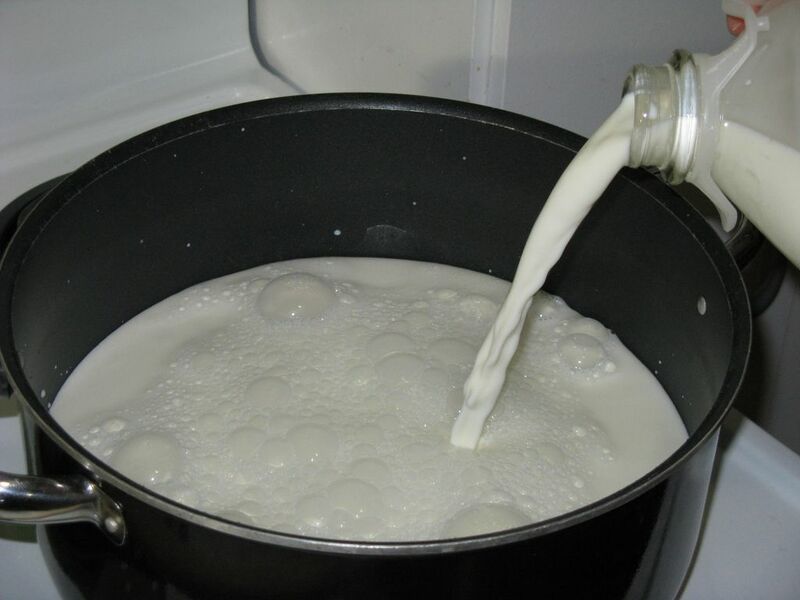 Here is the milk going into the stock pot. Be assured it will not be the same when it emerges. I started with whole milk from a local dairy. If you’re looking for a dairy near you try searching your area on Local Harvest. I would like to mention an issue which frequently comes up when local dairy is discussed: raw milk. 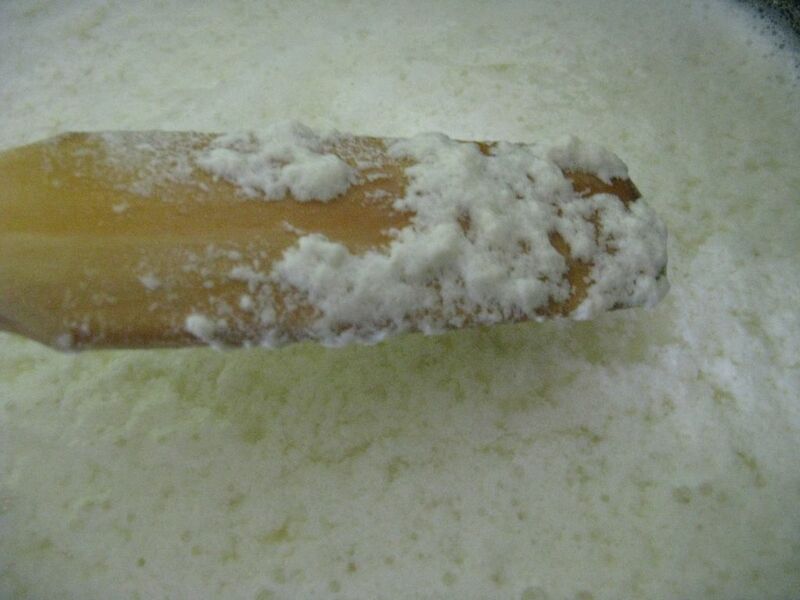 Raw milk has both die-hard fans and sworn enemies. As with most topics, there is as much misinformation on the web as there is information. If you are interested in learning about raw milk, I encourage you to read what the Centers for Disease Control says. In goes the lemon juice, but not the lemon seeds. The curds formed right before my eyes-magic! 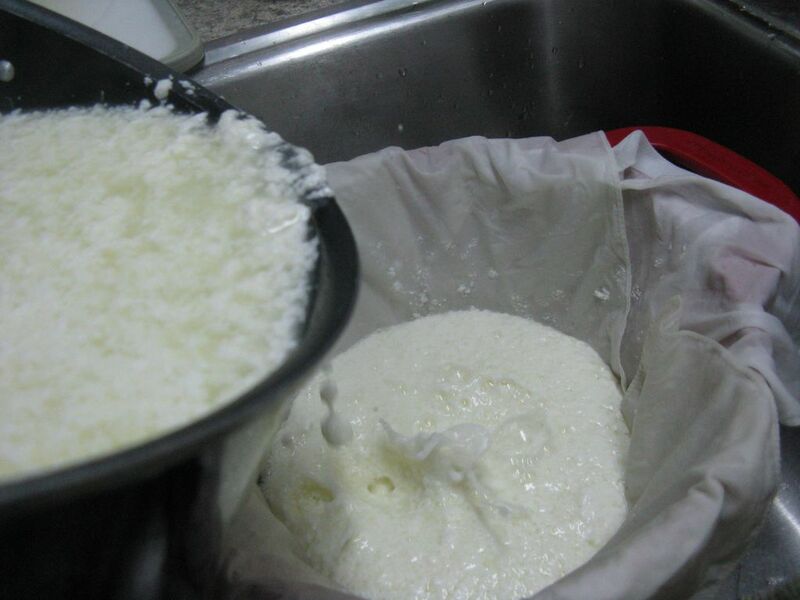 Straining the whey from the curds. I was impressed with the final result, and I think this will become a regular part of my DIYet. I’m eager to try the same technique with 2% milk and perhaps even goat milk. 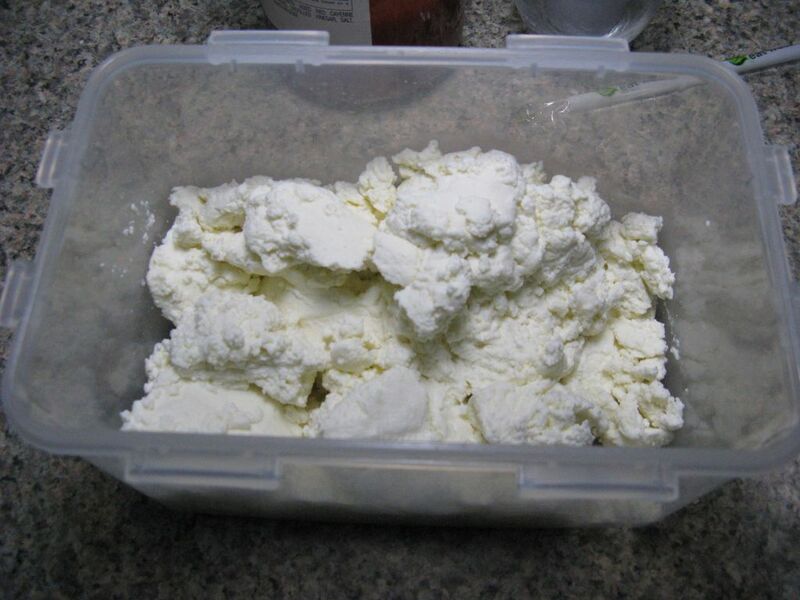 Home-made cheese is delicious on toast or as the base for a cheesecake. Give it a try! Here is the final product- a soft, spreadable cheese. Philadelphia’s got nothin’ on me.